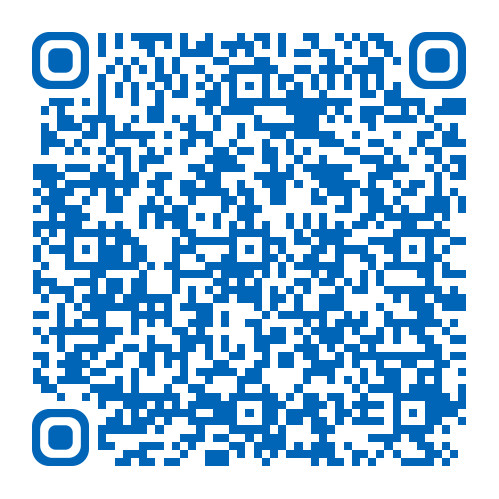 This leaflet has been produced to give you general information about your treatment following breast surgery. Most of your questions should be answered by this leaflet. It is not intended to replace the discussion between you and your doctor, but may act as a starting point for discussion. If after reading it you have any concerns or require further explanation, please discuss this with a member of the healthcare team caring for you. Why do I need to do the exercises? The exercises described in this leaflet are for anyone who has had breast surgery. They have been approved by Breast Surgeons, Breast Care Nurses and chartered Physiotherapists. The exercises are designed for use in the days and weeks after your surgery, however it may be useful to practice them before your surgery so you know how to do them and what your range of movement is. The exercises in this leaflet will help you regain the range of movement you had in your arm before your operation. Exercise may relieve pain as well as help the tissues heal as during exercise more oxygen is delivered to the area being moved. 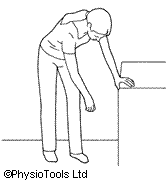 There is a small risk of muscle strain if you do not correctly follow the advice in this leaflet. It is normal to feel some muscle discomfort after exercising but this should improve after a couple of days. If it lasts any longer, then you should stop the exercises and consult your GP or Breast Care Nurse for advice. Avoid driving until you have had your consultant review after discharge from hospital. If you choose not to follow this advice it may result in your insurance no longer being valid. Avoid activities which involve heavy lifting, pushing, pulling or carrying – for example carrying bags of groceries, hanging out the washing or using the vacuum cleaner. You can gradually reintroduce these activities when you feel more comfortable and for short periods to begin with. Avoid over exertion, do not strain and do not be over vigorous. Avoid keeping the arm, on the side which your surgery was performed, in one position for a long time. How do I prepare for the exercises? Please read the information leaflet. Share the information it contains with your partner and family (if you wish) so that they can be of help and support. There may be information they need to know, especially if they are taking care of you following your surgery. When should I start the exercises? The exercises should be started as soon as possible after your operation – the first day if possible. If you are not sure when to start, check with your Surgeon or the Physiotherapist. Each exercise should be done three times a day. They can be done all in one session or broken into shorter sessions depending on your ability. You may find the exercises uncomfortable at first. Keep trying but do not overdo it. If the exercise involves using only one arm, use the arm on the side which your surgery was performed. How long should I do the exercises for? You should continue these exercises until you feel you have gained your full range of movement, i.e. the range of movement that you had before your surgery. This should take about four to six weeks. If you begin to develop stiffness in your arm after you have stopped these exercises, re-introduce them until this has eased. If you have any concerns or questions regarding your surgery, please contact the Breast Care Nurse Team on (01482) 622013. The following exercises should be carried out in a slow, rhythmical and gentle way to reduce the risk of lymphoedema (localised fluid retention and tissue swelling). If swelling does occur, contact your Breast Care Nurse. Stand leaning on a table with your unaffected arm. Let the arm, on the side which your surgery was performed, hang relaxed straight down. Swing this arm forwards and backwards. Stand leaning on a table with your unaffected arm. Let the arm, on the side which your surgery was performed, hang relaxed straight down. Swing this across your body to your left and then to your right. Stand leaning on a table with your unaffected arm. Let the arm, on the side which your surgery was performed, hang relaxed straight down. Swing this as if drawing a circle on the floor. Change direction. Sit or stand. Place your hand on your shoulder. 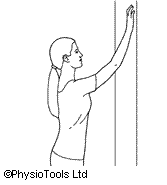 Lift your elbow up towards the ceiling as far as possible. Sit or stand with hands clasped in front of you. 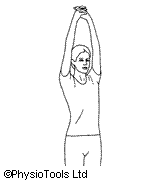 Lift both arms straight forward and up as far up as possible. 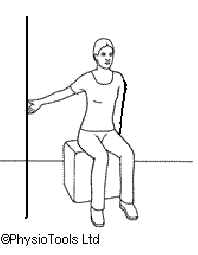 Sit or stand facing a wall. ‘Walk’ your fingers up the wall as high as possible. Reverse down in the same way. Sit or stand with the wall closest to the side in which your surgery was performed on. ‘Walk’ your fingers up the wall as high as possible. Reverse down in the same way. Sit or stand. Lift your hands up and cross them behind your neck, elbows pointing towards the ceiling. 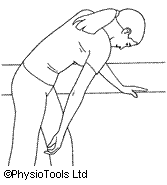 Move your hands towards your shoulder blades as far as you can. 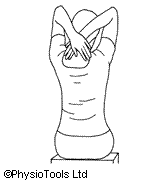 Sit or stand with arms behind your back, slide your operated arm up your back as far as possible. You can use your unaffected arm to help if necessary. Sit in your chair or lie on your bed. 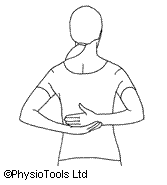 Clasp your hands behind your neck with your elbows pointing outwards. 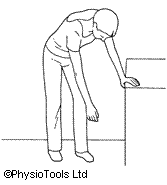 Push your elbows back as far as possible to touch the back of the chair or the bed. 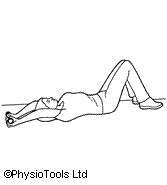 Lie on your back with knees bent. Link both hands and rest on your stomach. 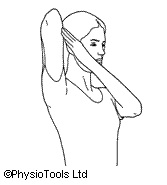 Lift your arms straight up and over your head to the bed, keeping your elbows as close to your ears as possible. Hold approx. 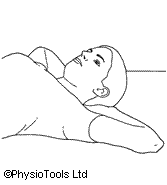 20 seconds, remember to breathe normally and then return to starting position. The above exercise is very important as this is the position you will need to adopt during treatment if radiation therapy is required following surgery. Should you require further advice on the issues contained in this leaflet, please do not hesitate to contact the Breast Care Nurses on telephone number: (01482) 622013.